Sneakers are definitely the one type of shoe I own the most of. From running or in general "workout" sneakers to my day-to-day kicks. They're functional and fashionable (see shoe #2 and #4). 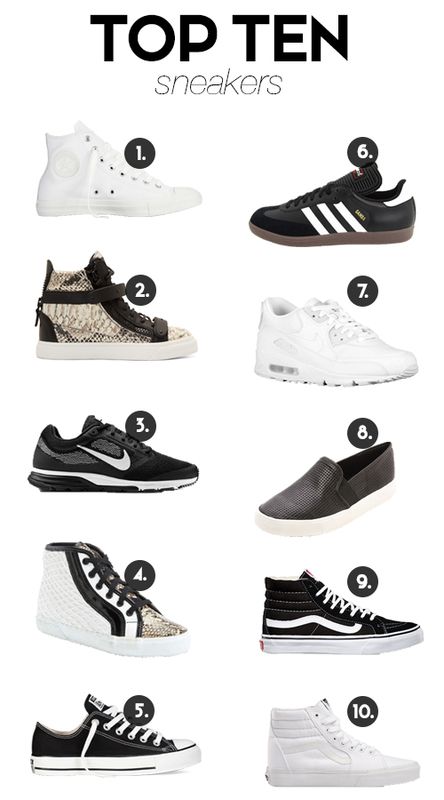 From high to low tops, basics and beyond these are my top ten sneaker picks on this fine Tuesday.